#1 Father John Misty | The NACC Charts for August 7, 2018 are LIVE! Did you feel the earth move yesterday? That was Courtney Barnett actually being ousted from #1 on the NACC 200 after seven record-breaking weeks on top! With just a few hours to go in reporting, Father John Misty snuck past her to score his second NACC 200 chart-topper with his Sub Pop release, God’s Favorite Customer. Born Joshua Tillman in the suburbs of Washington DC (and now residing in LA), he released eight LPs under the name J. Tillman until taking up the name Father John Misty for his 2012 release, Fear Fun. He becomes only the second artist to reach #1 twice on the NACC 200 (Ty Segall being the other). And this is also only the second week since February that a male artist or male-fronted band has been #1 on the big chart. The NACC Top 10 logjam is beginning to break up. We see that with a new #1 and we also see it strongly in the bottom half of the Top 10 where four records move into the top tier of the chart. The biggest mover of that bunch is the ninth LP from Dirty Projectors. Lamp Lit Prose (Domino) jumps 17-6 on the NACC 200 this week. Dirty Projectors has only one original member: primary songwriter and singer David Longstreth (although Nat Baldwin has played bass for the band since 2005). Nearly 30 musicians can call themselves former members of Dirty Projectors. Also reaching the NACC Top 10: Jenn Champion (15-7), Ty Segall & White Fence (16-10) and Johnny Marr (13-9) who re-enters the Top 10 after two weeks away and reaches a new peak. Last week’s most-added record, Chosen Family (out on Lame-O), from Thin Lips, is this week’s highest debut at #20. For the first 18 weeks of charts this year, only one album debuted inside the Top 20. Over the last 12 weeks, we’ve had five of our highest debuts enter that high. And this is the first time since October of last year that we’ve had back-to-back Top 20 debuts (after last week’s Astronauts, Etc. at #19). Fronted by Chrissy Tashjian, Thin Lips set out to make, as she put it, a “gay Sgt. Pepper’s” album that focuses on all her and the band’s favorite people (who are all pictured on the cover of the record). The fastest mover on the NACC 200 this week is actually the smallest biggest climb of the year at 74 spots. And it ties for the lowest-ranked biggest mover ever on the chart at #116. Nevertheless, it’s a special climb due to the album not even being released yet. French pop icon Héloïse Letissier, who performs under the name Christine & The Queens, releases her LP, Chris (on Because Music and recorded in both English and French) on September 21. And the two songs that have been put out so far in advance of that date help the album jump 190-116 this week. The most added record this week comes from Philadelphia musician Katie Bennett, who performs under the wonderfully whimsical name Free Cake For Every Creature. Bennett formed the project while attending Skidmore College in 2013. She signed to Double Double Whammy in 2014 and her first release for the label featured her performing with a full band. Free Cake For Every Creature’s fourth album, The Bluest Star, was just hailed as “Pure Indie-Pop Ecstasy” by Rolling Stone. And, being huge fans of both free things and cake, and also qualifying as creatures, we will eagerly wait for the band to send us our free cake. Buttercream frosting, please! In a first in the young life of the NACC Single Chart and our featuring of the most-added single, we have one artist take both honors. The #1 song on the NACC Singles Chart for a second week comes from Metric with “Dark Saturday.” The band released a second song, “Dressed To Suppress,” which is this week’s most-added single! Since no name for a parent album exists (and no specific word has been given that either of these songs would appear on an album), both songs qualify for separate runs on the single’s chart until that announcement comes.  You can find the Top 5 of the NACC Adds Chart and all of this week’s #1 genre releases below. We have new #1s at Heavy (Dee Snider! ), Hip Hop, and Electronic (a rare #1 debut from another band with a great name: Ross From Friends). Also included are the most added genre records of the week.